iPhone 6 Plus bending: Photos, videos spark ridiculous "bendghazi" scandal. Warning: If you bend your iPhone 6 Plus, your iPhone 6 Plus will be bent. My first complaint after buying the new iPhone 6 Plus was that I couldn’t operate it with one hand. Others griped that it wouldn’t fit in their pockets. This week, some buyers of Apple’s polarizing phablet have found a new cause for remorse: It bends. That, at any rate, is the allegation of a few early iPhone adopters who took to MacRumors’ forums to post photographic evidence of their phones’ deformities. One said he put the phone in his front pocket, drove to a wedding, danced for a few hours, and drove home. When he removed the phone from said pocket, it looked like this. Some entrepreneurial YouTubers were quick to verify the claims of bendability with video evidence. 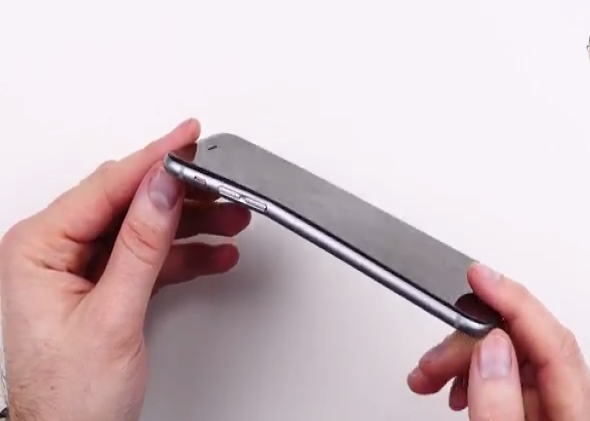 It turns out, yep: If you bend your iPhone 6 Plus, your iPhone 6 Plus will be bent. As with antennagate, however, this is almost certainly more of a problem for Apple’s public image than it is for the average iPhone buyer. As Apple apologists were quick to point out, it should not be entirely shocking that an ultra-thin slab of aluminum can be bent if enough pressure is applied. We are, after all, talking about the same material that Coke cans are made out of. Aluminum is prized for its lightness, durability, ductility, and malleability—the last of which translates roughly to “bendability.” Apple’s engineers work hard to make sure their phones don’t shatter when you drop them, as one hapless Australian kid did on live TV the other day. (The phone survived.) Indeed, the iPhone 6 and 6 Plus have performed extremely well in drop tests. All things considered, the fact that the 6 Plus can bend under certain conditions seems like a relatively minor tradeoff for its durability in other regards. I’ve only had mine for 5 days, so take this for what little it’s worth, but I’ve kept it in my pocket pretty much at all times—standing up, sitting down, lying on the couch—and it hasn’t given the slightest indication of being harmed in any way. I’m inclined to agree with those who say that if you’re sitting on your phone when it’s in your front pocket, you might want to work on your sitting technique. Either that, or it’s time to invest in a pair of these snazzy Apple Pants. I Bought the Huge iPhone. I’m Already Regretting It.